Arvada offers a colorful selection of properties for sale including single family homes, town homes, condos, farms and country estates. Its extraordinary parks and trails link Arvada to downtown Denver and to the foothills, with easy access to mountain recreation and other activities. Quiet neighborhoods, a robust business mix, and the restoration of historic landmarks keep this area socially vibrant and in good economic health. Arvada, the largest city in Jefferson County, is an attractive western suburb with an estimated population of 107,050, that maintains its cherished hometown feel while building a diverse business community. Arvada has found balance in its business and cultural growth by redeveloping its downtown area while maintaining historic landmarks. 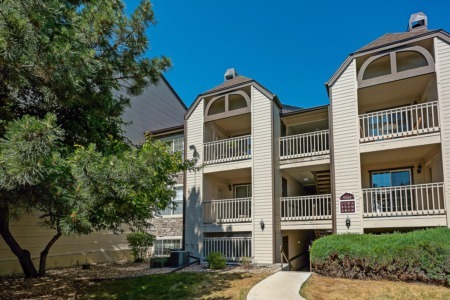 Located 10 miles northwest of Denver, Arvada is easily accessible by I-70 from Denver. It's close proximity to mountain communities, Downtown Denver and DIA makes it ideal for both work and recreation. From ”horse country” on its west side to The Arvada Technical Center and surrounding industrial base, a wide range of housing options are available. With its quiet neighborhoods and pro-business atmosphere, Arvada real estate offers unique amenities for its residents. Historic Olde Town Arvada provides an eclectic shopping experience attracting new retailers every day. FasTracks light rail system has designated three convenient stops in the community. The Arvada Center for the Arts and Humanities provides diverse, year-round programming which includes theater, concerts, art exhibitions, and arts and humanities classes for all ages. The Arvada Center Banquet facility offers over 9,300 square feet of flexible space for corporate and social gatherings. Despite a century of change, Arvada has maintained its hometown feel by combining today’s culture with the Old West.